Tiramisu is a coffee-flavoured Italian dessert that means “pick me up” or “cheer me up” in Italian. It is made of ladyfingers dipped in coffee, layered with a whipped mixture of eggs, sugar, and mascarpone cheese, flavoured with cocoa. There are so many varieties of this delicious and decadent dessert, but none come close to the original version. The delicate flavour of layers of mascarpone and Italian custard is paired with the darkly robust flavour of coffee or espresso and the deep chocolate of the cocoa powder. 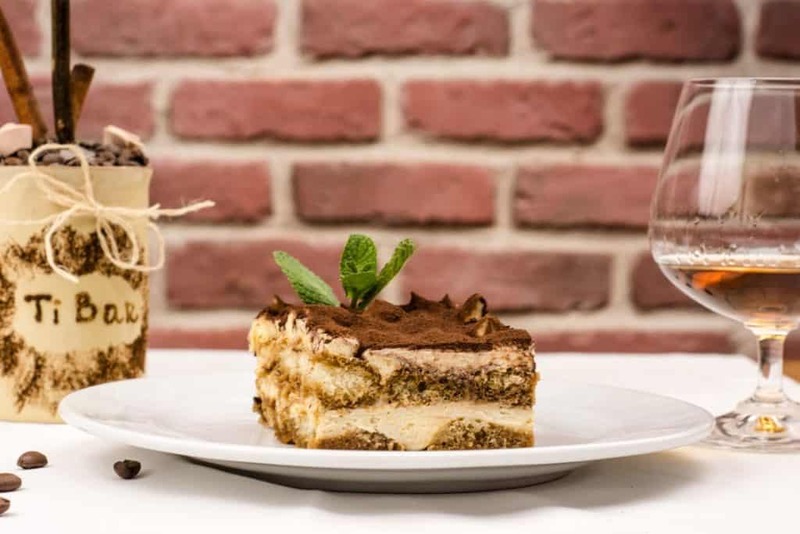 The name itself, tiramisu, means “pick me up” in Italian which most likely refers to the two caffeinated ingredients that are present in the dish, coffee a, d cocoa. One of the first steps to making the perfect Tiramisu is by making sure that your eggs and mascarpone cheese are at room temperature. Also be sure to use the freshest of ingredients. If the eggs are closest to the expiration date, then they can cause your tiramisu to break down. Once your eggs are at room temperature, mix them together with the sugar and begin whipping the egg yolks and sugar until they are very thick. Many people whose Tiramisu doesn’t turn out wind up under whipping the egg mixture. To do this correctly, be sure to use the double boiler method with a bowl over a pot of simmering water. Next, in a separate blow, take the mascarpone and whip it in until its light and fluffy. Begin whipping the cream on low, increasing the speed over 10 minutes. This makes a whipped cream that will last for days in your fridge without the aid of gelatin. Now, take the egg mixture (which is called sabayon) and gently fold it in the whipped cream. Do not hurry this step and use a spatula or large spoon to fold the whipped cream in. The reason you have to take your time with folding is that you want to keep as much of the air in the whipped cream intact. This will make for a lighter and fluffier tiramisu cream. 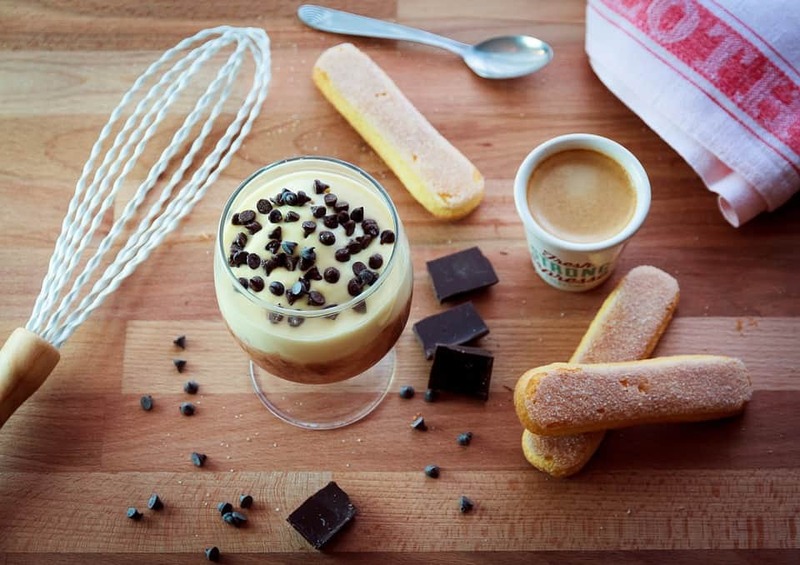 One of our favourite parts of tiramisu is the coffee soaked ladyfingers! You don’t want to let them get soggy. 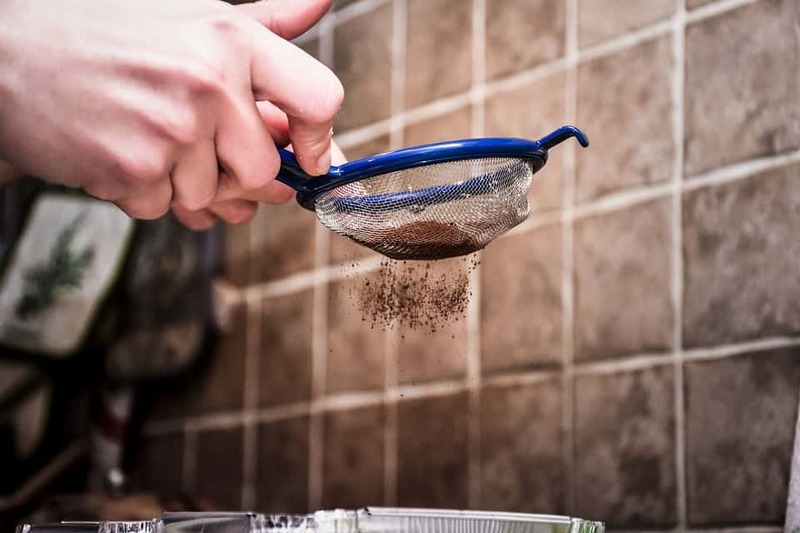 They will absorb the coffee mixture pretty quickly, so just a mere dunking is all you need. The coffee should be super strong coffee. 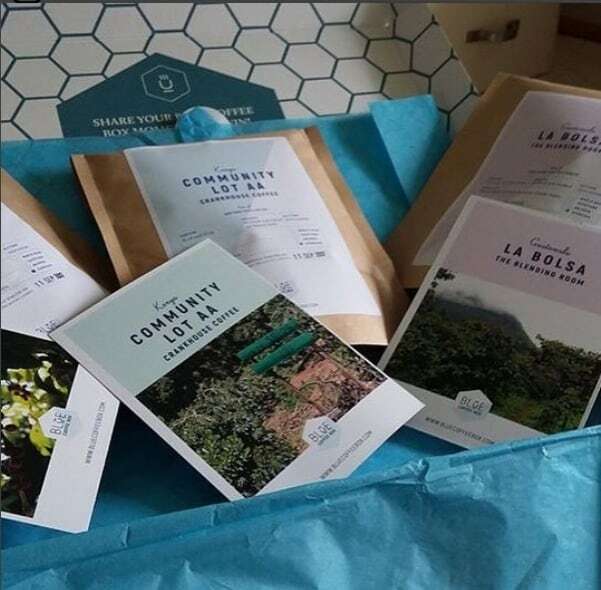 We suggest using the coffee from your Blue Coffee Subscription box, as it has the best flavour and since it is freshly roasted, it will have a stronger coffee flavour. Dip in a few of the ladyfingers at a time, turning for a few secs until they are nicely soaked, but not soggy. Set your pan up with a layer of the coffee soaked ladyfingers. Then add your first layer of tiramisu cream. Use half of your mixture and spread it evenly. Sprinkle with the grated dark chocolate in between the layers. Repeat the process — ladyfingers, cream, dark chocolate. End with a dusting of the tiramisu with cocoa and you’re finished! 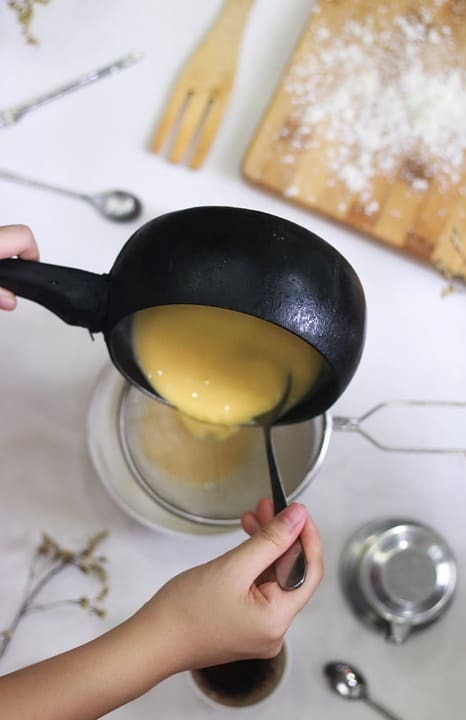 Add the egg yolks into a medium-sized bowl together with the sugar and beat with an electric hand whisk on high speed for about 3 minutes, or until the mixture forms a light, pale mousse. In a separate large bowl, stir the mascarpone to soften it (using a wooden spoon works best), then gradually beat in the egg yolk mixture. Between each addition, beat well until the mixture is smooth before adding more. Clean the beaters of the whisk by washing and drying them off (make sure they are perfectly clean so you do not break down the cream mixture), then in a third separate bowl whisk the egg whites until they form soft peaks. Now lightly fold this into the mascarpone mixture and then put the bowl to one side. Now, break the ladyfingers (or sponge fingers) in half, then pour the coffee and rum into a shallow dish and then dip the sponge fingers briefly into it, turning them over – they will absorb the liquid very quickly. In a rectangle dish, layer the dessert in the following fashion — place a layer of the soaked ladyfingers in the bottom. Top with half of the mascarpone cream mixture. Then sprinkle on some of the grated dark chocolate. Repeat this process ending with a dusting of the cocoa powder. Serve immediately or store in the refrigerator for up to two days. 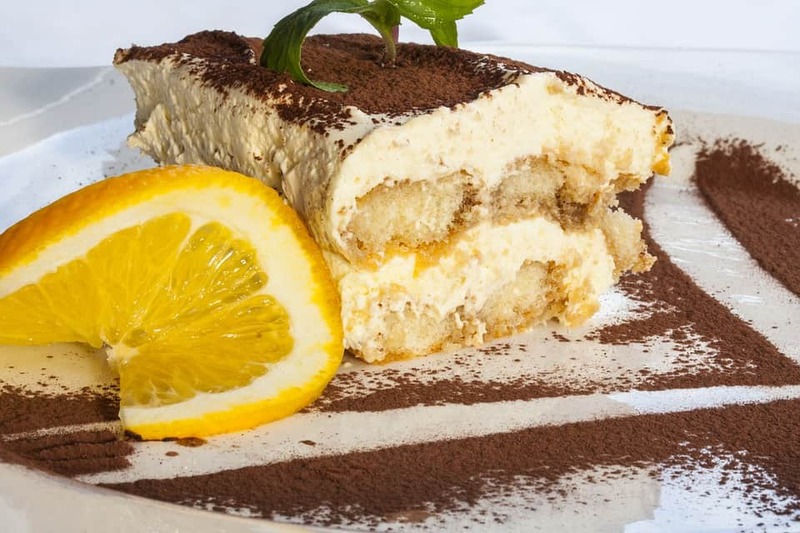 Much in the same way that the English trifle is often served during holidays, tiramisu is a wonderful Italian coffee-infused dessert that can be added to any holiday festivities. Of course, after trying it once, you may not be able to wait for a special occasion before deciding to serve it again.